81 mins. Rated R for language. The Blair Witch Project cast quite the shadow upon release. I remember being much younger and everyone asking me, “Have you seen it yet?” Of course I hadn’t, but everyone else had. Even my brother, who never went to movies, saw The Blair Witch Project. The guy in front of him got sick, then asked a theater attendant for a mop to clean it up. It was pandemonium. I saw it after the hype and hated it. This wasn’t the greatest piece of horror cinema of all time like I’d heard. Naturally, I avoided the film for the next 17 years until the sequel Blair Witch arrived. 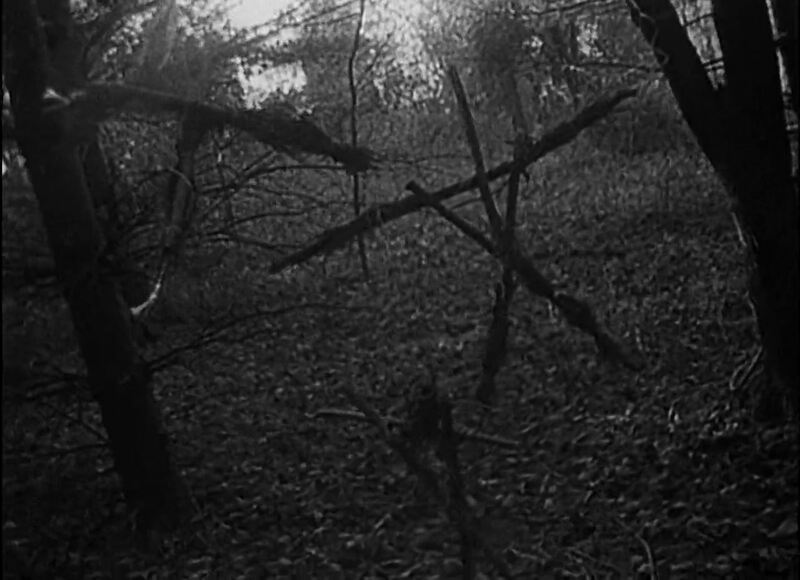 This year, I thought I’d revisit The Blair Witch Project to see if my reaction has changed. 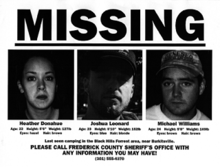 The Blair Witch Project projects itself as found-footage (one of the first films ever to fully sell itself as such) of three people: Heather (Heather Donahue, Boys and Girls, The Morgue), Mike (Michael C. Williams, Altered, Four Corners of Fear), and Josh (Joshua Leonard, If I Stay, Teenage Cocktail). Heather is a filmmaker chronicling the legend of the Blair Witch, a legend that exists in parts of Maryland. They vanished, leaving only this footage behind. So, I didn’t hate The Blair Witch Project on this second go-around, but I still don’t think it’s a good movie. The film has a very interesting flavor and story, but it drags far too much for such a short feature. The three characters are neither likeable nor interesting, and I didn’t find myself all that worried about their survival. 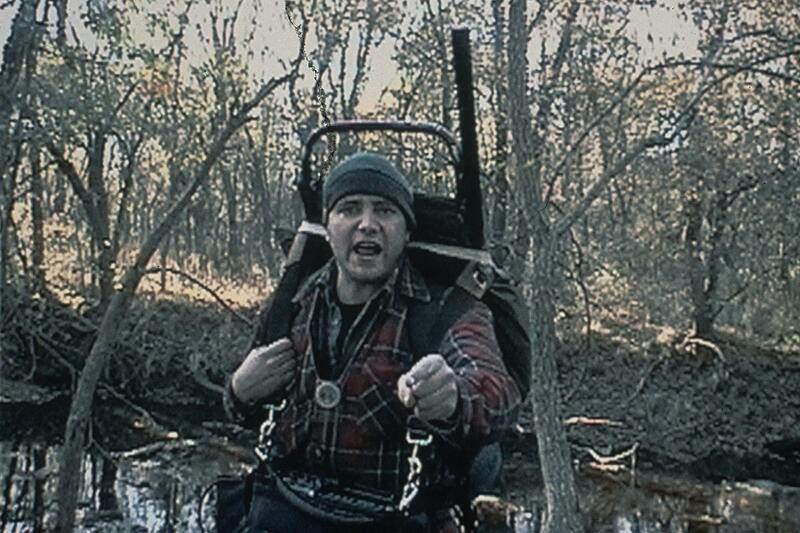 Modern found-footage has learned a lot from The Blair Witch Project, but as this was a relatively new subgenre, mistakes are made that hamper the whole experience. I can’t deny the film’s impact, though. It held a Guinness World Record for Box Office Ratio by making back almost 11,000 times its budget. The cultural impact of the film was massive and actually convinced many viewers that the film was real (strange because the credits are quite apparent whereas other films like Paranormal Activity tried to hide it better). Fans flocked to Maryland to learn that they were indeed wrong. All three actors stayed in character for the entirety of the eight-day shoot unless one had to utter the safety word, taco. Altogether, this must have been a grueling eight days. The Blair Witch Project deserves more recognition that I’ve given it, but it still isn’t a good movie. An amazing idea doesn’t automatically ensure a great film, and poor character development is the cardinal sin of this horror classic. Worth watching if you’ve never seen it, but I think I’m good for the next 17 years. For my review of Adam Wingard’s Blair Witch, click here.